First, a very cute note welcoming you to the island. This is just prep for the load of candy you’re gonna get. And although it all might seem familiar, it turns out it’s not! You might have thought those were Skittles. 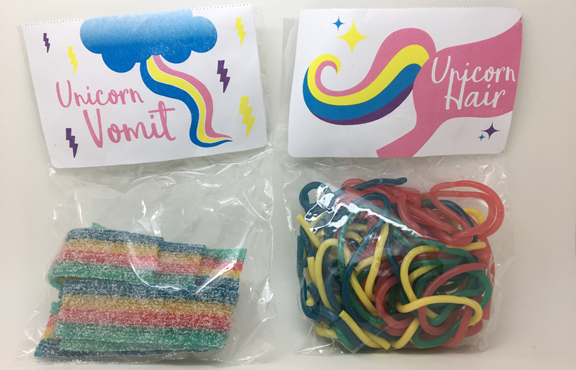 Nope: Unicorn poo. 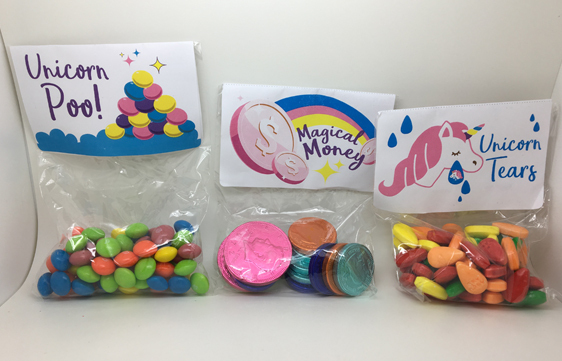 We also have magical money, and sadly, Unicorn tears. But wait-there’s more. A LOT more. 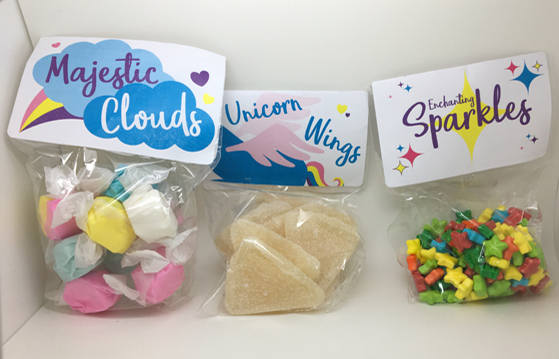 Clouds of all things (only majestic ones), Unicorn wings, and some run of the mill sparkles. 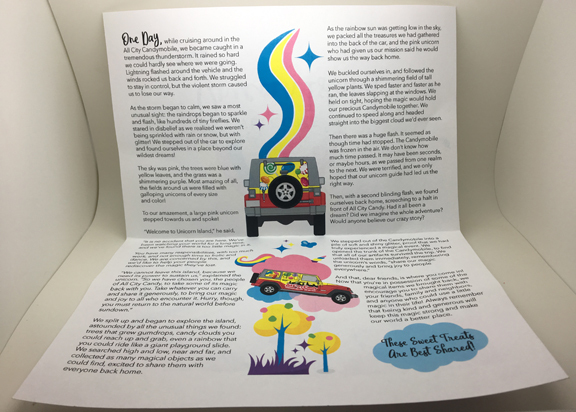 A little sidebar here: am I the only one who, up until now, wasn’t aware that Unicorns could fly? Sometimes I’m slow to the take. …vomit & hair. Basically, I love these people. 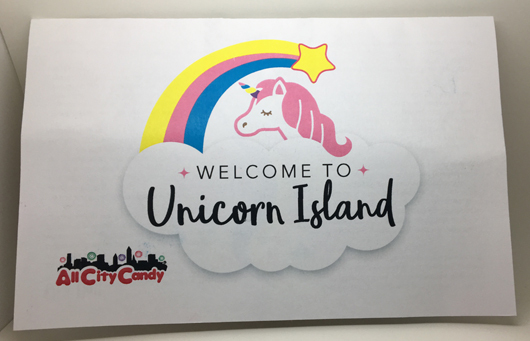 Because look, if you’re going to Unicorn Island, it ‘aint all just giggles and sprinkles. There’s puke and poo there too. Welcome to real life. So as you can see, you get a LOT of candy in this bucket, and the really cool thing is that it’s really good stuff. I see Albanese gummy butterflies, Haribo grapefruit slices, Mike & Ikes….all good stuff. I really got a kick out of this bucket, because it’s the perfect thing to bring to a kid’s birthday party, or to your place of business. 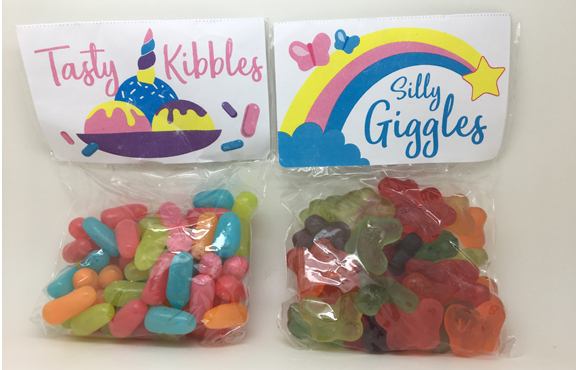 Small packs of good candy with funny names. Not a complicated prescription, but one that works. 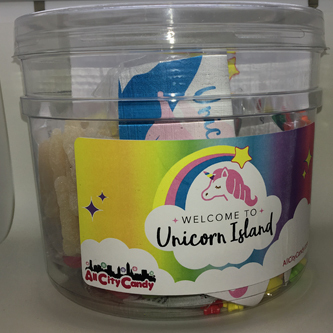 Check out the link below to get a trip to Unicorn Island for yourself, or one of their other buckets. Maybe try the plague themed one, it’s fun! Yr right. This unicorn thing has got to go. But I do love the fact that this island is real life and not some super fantastical fake island where there is no puke. 2 stars for that alone.